China continues to suppress the rights to freedom of expression, religion and movement of ethnic minorities evident in its rejection of most of the recommendations made by the member states of the Human Rights Council during a United Nations review of its human rights record earlier this week. China has rejected all the recommendations on Tibet to the United Nations Review of its human rights record except one; that is to facilitate the visits of the UN High Commissioner for Human Rights and Special Rapporteur to Tibet. China accepted only one, rejected five, and said it had already implemented another. Müller further called on the member states to hold China accountable and press the Chinese leadership that the proposed visits happen. Müller also noted that the High Commissioner must be able to engage with Tibetan and Chinese representatives to gain clear insights into human rights conditions in Tibet. “While the prospect of a visit is a step in the right direction, it does not in itself constitute progress in improving human rights. 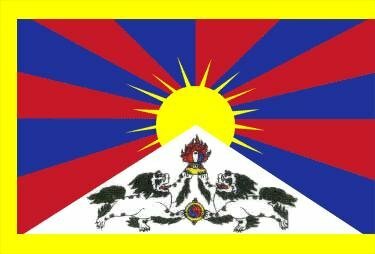 A more systematic and deepening crackdown is being implemented in Tibet under the leadership of Xi Jinping. China has repeated the same denials and attempted the same obfuscation of the process as it did during its last Universal Periodic Review in Geneva in 2009,” Müller added. During China’s second Universal Periodic Review in Geneva on October 22, 2013, more than a dozen UN member states raised concern for human rights situation in Tibet calling on China to change its treatment of ethnic minorities and the rights to freedom of expression, religion and assembly. The Universal Periodic Review (UPR) is a mechanism of the Human Rights Council that provides an opportunity for all States to declare what actions they have taken to improve the human rights situations in their countries and to overcome challenges to the enjoyment of human rights. On March 19 , UNHRC will adopt China’s UPR Working Group Report and China will inform the Council which recommendations made by the member states it will accept or reject for the next four years.